I’m super excited to be announcing this as I’ve had to keep it secret for weeks and weeks. I’m so glad that I’m finally allowed to tell you about my upcoming trip to Dubai in early December. “Dubai Tourism is delighted to partner with Nuffnang on their annual Bloggerati Getaway, to showcase Dubai’s diverse attractions and experiences to the various audiences that their top bloggers attract. The bloggers will be visiting Dubai’s iconic attractions as well as uncovering some of the unexpected experiences Dubai offers to our region,” said Director, Dubai Tourism – Australia and New Zealand, Julie King. The intention is to celebrate the everyday lives of the people and communities of the Emirate and show the city that is beneath the landmarks, headlines and superlatives. What is super cool is that it’s not only for me but also the big bunch of bloggers (known as the Bloggerati), who are looked after by blogging talent agency Nuffnang, but also one lucky blog reader of our blogs, will win a trip for two to come with us! How exciting would that be? But more about that later. Now, my thought when I discovered I was going on this trip was the question of what to pack. I will be sharing with you my packing plan in a post to come, and of course what I pack will depend on the activities I’m to undertake. 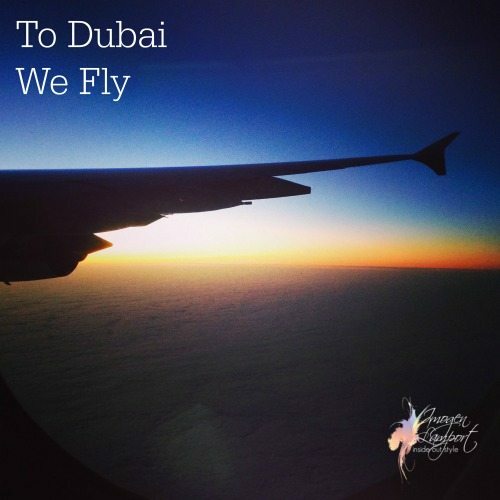 I had never really thought about going to Dubai as a destination for a holiday, but having done some research I’ve discovered there are so many great things to see and do and I just can’t wait! I was warned it would be hot, but found out that December is a great time to go as it’s pleasantly hot with an average daytime temperature of 26C which is lovely, not too hot and not too cold. So that will certainly make packing easier. So what kind of attractions does Dubai have in store for us? We’re planning on a Bedouin Desert Safari on camel and dinner under the stars. There is a water park where you can go down a water slide through an aquarium! You can Ski Dubai in the Mall of Emirates, where you can hit the slopes all year round (better take a jacket for that!). From fresh fish at beach shacks and floating restaurants to fine dining in the International Finance Centre, the gastronomic choice is yours. 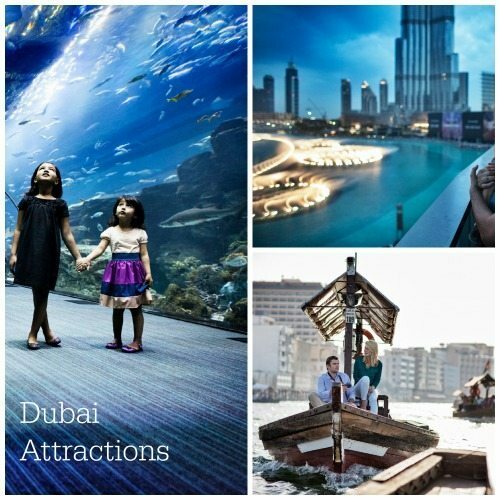 With over 95 shopping malls, including the world’s largest mall, The Dubai Mall (which also houses an aquarium), you can buy anything and everything. Dubai is ranked as the second most popular shopping destination in the world (USA is number one). There’s everything from big international brands to the Global Village, where 65 countries come together in 37 lavish pavilions to showcase their indigenous products. The Souq markets, where you feel like you’re stepping back in time to the original Dubai bazaars where you can buy textiles and gold. One of the things I’m most excited about is meeting the rest of the Bloggerati bloggers. 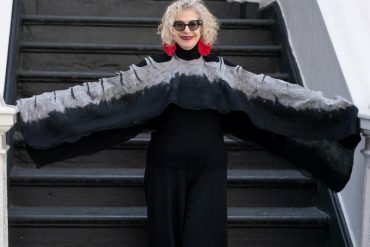 We come from all over Australia and cover topics from fashion and style (I’m one of them), to interior design, food, parenting, craft, lifestyle and fitness, and although I may know a few of them I’ve not met them all. Given that they are all experts in their own fields it’s going to be fascinating just getting to know them all on this trip. You can find out who they all are and discover their blogs, as well as find out more about the trip here. Get Your Passport Ready as You Can Win a trip with us to Dubai! 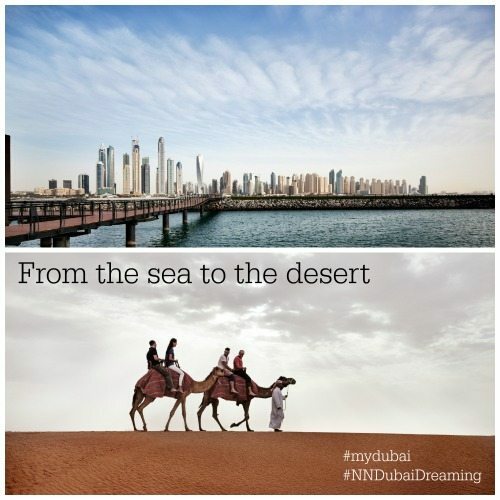 The competition question to answer is“What do you dream of in Dubai” on social media with the hashtags #NNDubaiDreams and #mydubai (you must use both). You can upload photos, images, text or video in your social media post. Entries can any format as long as they’re publicly visible and include those hashtags. Open to Australian residents only and competition closes 5pm AEST 12 November 2014. We loved Dubai – especially once we left the bright lights of the city and travelled into the beautiful countryside…sand, wadi, oasis, mountain top, beach, roadside market, fort, date grove, rural museum, mosque. So much to see and do! And you don’t need to pack a coat, Imogen – Ski Dubai has all the gear you will need. I’ve never been to Dubai but it’s been on my wish list for a long time. So excited to join with you in this adventure. Thanks Kelly – me too – I can’t wait to get to know everyone!